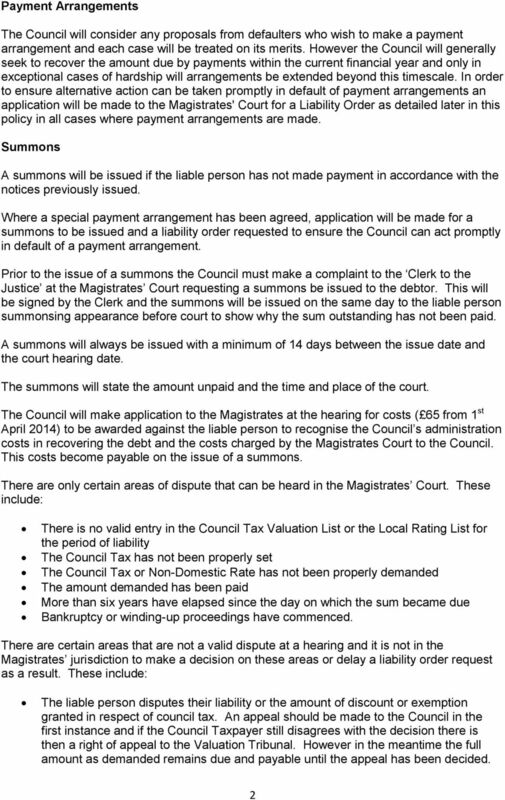 Download "If instalments are not paid as they are due a reminder will be sent requiring payments to be brought up to date within 7 days." 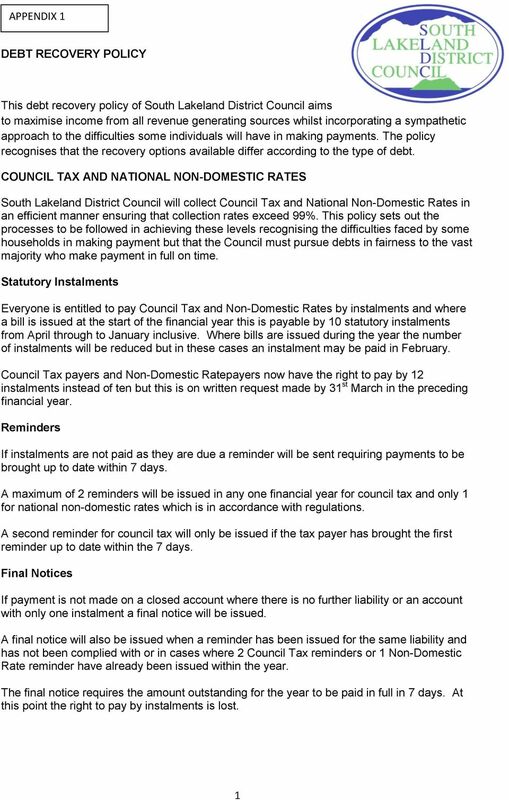 Bradford Council recognises that some households are experiencing financial pressure through reduced income and increasing inflation and energy costs. 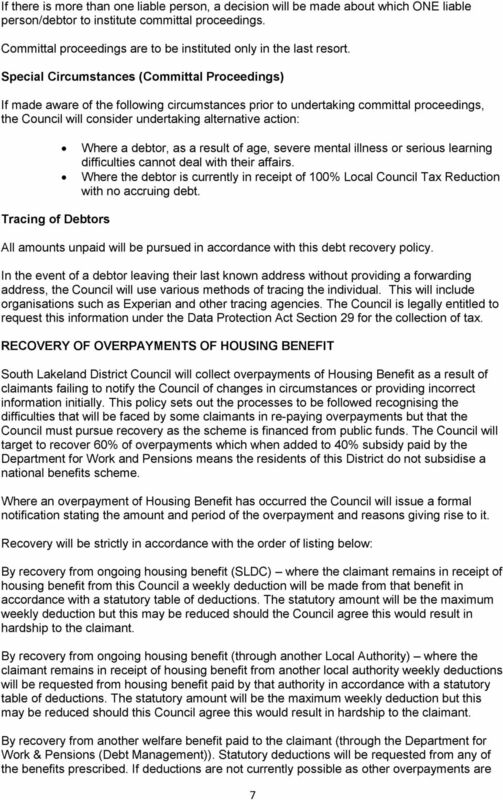 Housing Benefit Overpayments Policy December 2013 1. Aims of the Policy 1.1. 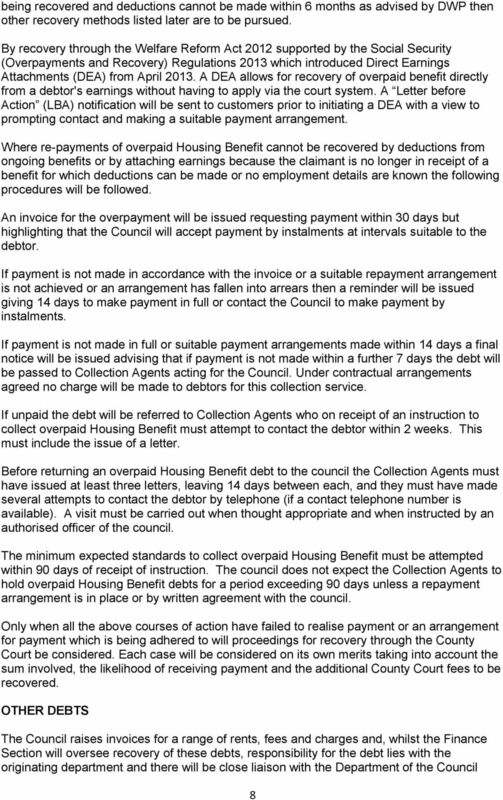 The aims of this policy are: 1.1.1. to ensure we minimise overpayments and reduce them as much as is possible when raised 1.1.2. 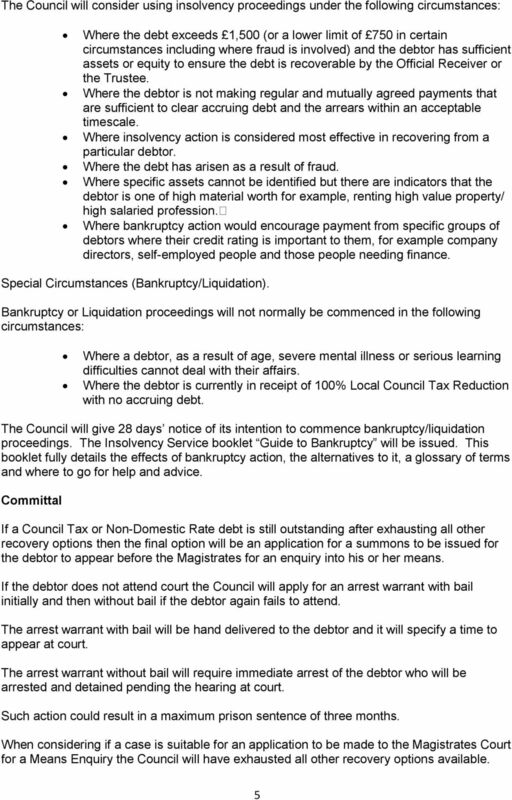 CORPORATE DEBT MANAGEMENT STRATEGY 1. 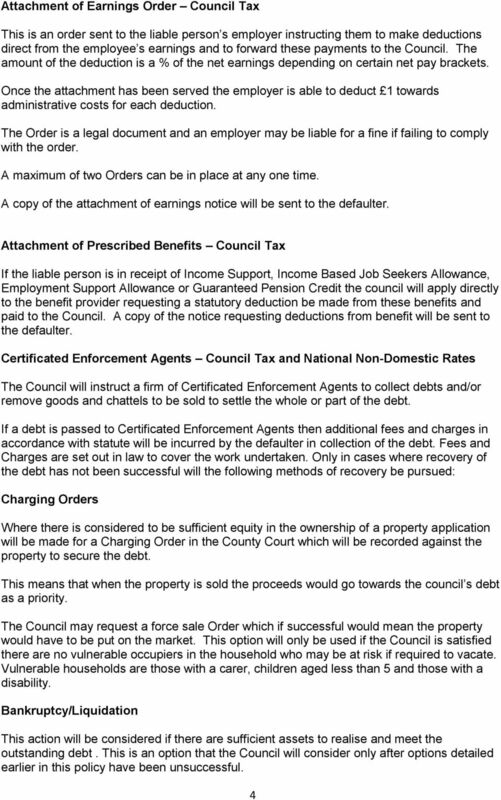 Purpose of Strategy Stoke on Trent City Council is required to collect monies from both residents and businesses for the provision of a variety of goods and services. Fair Debt. Policy. Why Have A Fair Debt Policy? 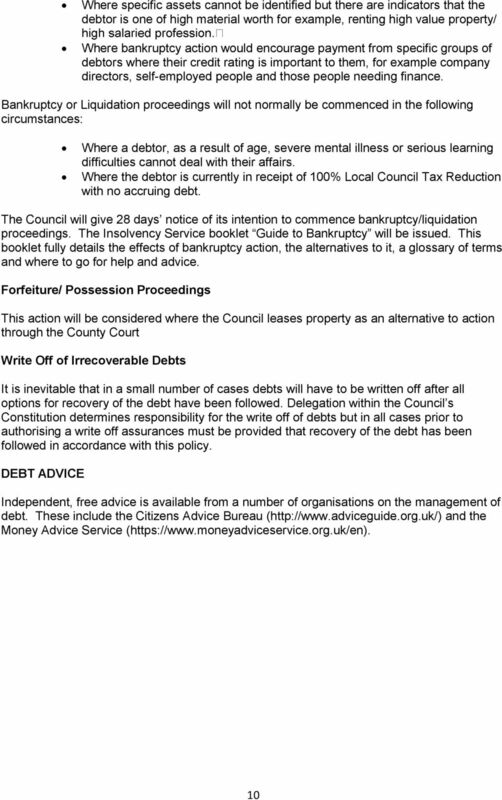 Appendix A Draft Debt Management, Recovery and Write-Off Policy CONTENTS Page 1. Introduction and Aims 2 2. Billing and Invoicing arrangements. 4 3. Payment of Bills and Invoices 4 4. Enforcement. 5 5. Court fees are payable at the time you file any document or commence any process requiring a fee, unless otherwise stated. 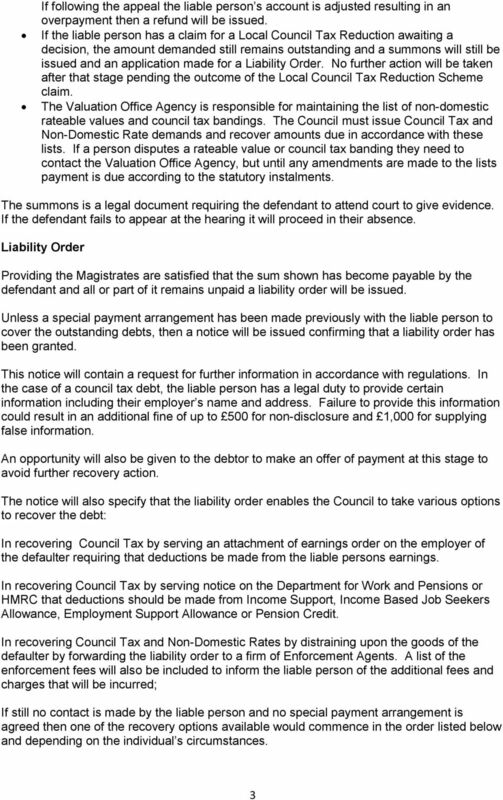 EX50 Civil and Family Court Fees From 22 April 2014 Important information This leaflet sets out a selection of civil and family court fees. It is not the full list, neither is it the authority on fees. 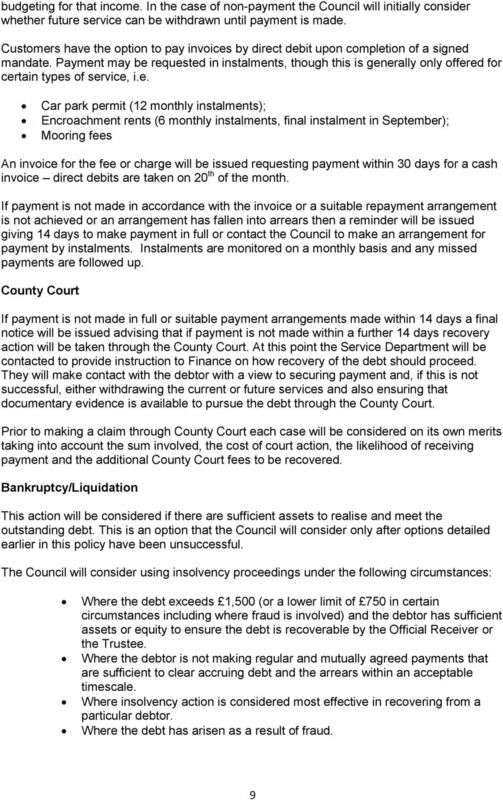 EX50 Civil and Family Court Fees From 6 April 2015 Important information This leaflet sets out a selection of civil and family court fees. It is not the full list, neither is it the authority on fees. 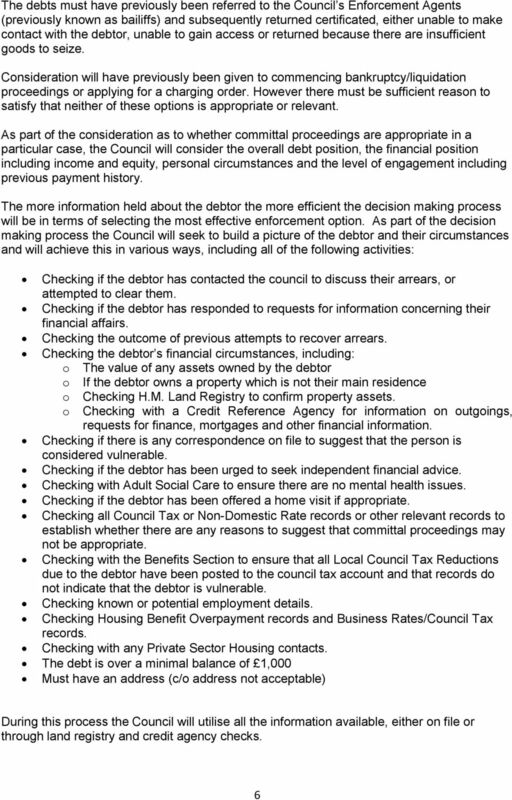 Related Policy These procedures are for the implementation of the Debt Administration Policy and provide procedures to be followed by staff engaged in Debt Management and Debt Recovery and their managers.